Editor's Note: With the news that Fallout: New Vegas is now on GOG, we figured it was a good time to bring these mods back to the spotlight. Enjoy! At E3 yesterday, Bethesda showed off the recently-announced Fallout 4, and confirmed it would arrive this fall. They also confirmed mod support for both PC and Xbox One, with PS4 support hopefully coming soon after. But that's not until this fall, and you need something to keep your Fallout addiction at bay. That's why we're picking out eight of our favorite mods for Fallout: New Vegas for today's gallery. Give them a try, and see if they don't tide you over. Don't see your favorite mod? Tell us what it is in the comments! 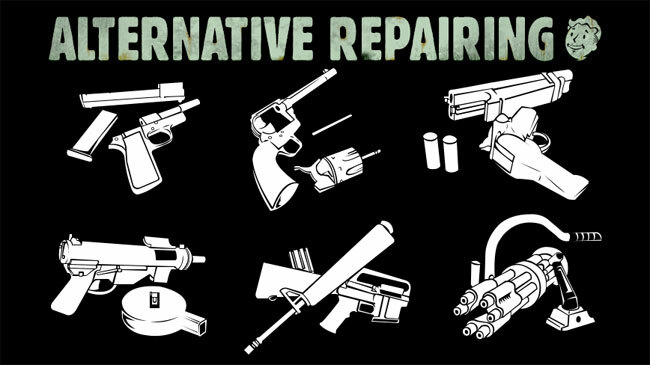 If you're like me, you got a little tired of how easy repairing your gear was in New Vegas. This mod does away with the base game's system of smashing two things together to make a better thing, and instead requires you to find (or craft) repair components. Wooden weapons need wonderglue to hold themselves together, guns need the proper parts (pistol, rifle, etc. ), and bladed weapons are repaired with whetstones. It's not a major change, but it does make the crafting feel like it makes more sense. Grab the mod at Nexus Mods.